Manolo Fortich, officially the Municipality of Manolo Fortich, is a 1st class municipality in the province of Bukidnon, Philippines. According to the 2015 census, it has a population of 100,210 people. Manolo Fortich used to be known as Maluko; it was renamed in 1957. Maluko also happens to be the name of one of the municipality's barangay. Before the coming of the Spaniards, the term "Bukidnon" referred to as the semi-sedentary indigenous inhabitants of the high plateaus and rugged mountain ranges of central Mindanao. The more prominent of these peoples were the "Manobos" who were the earliest settlers of this region. Located on the northern part of Bukidnon, is the Municipality of Manolo Fortich. The great pre-historic Asiatic migration was believed to have brought the early settlers of Bukidnon. It was theorized that they came from places of what is now known as Indonesia. Traveling by the sea, these migrants reached the gulf of Davao where some ventured further to areas of what is now known as Bukidnon and Misamis Oriental. The Asiatic beginnings of these people can be seen from their oral tradition and folktales, like the "Kalikat Hu Mga Elaw Dini Ta Mindanao" (Origin of the People of Mindanao). This folktale revolved on the story of two brothers from Asia "who crossed the seas" in their long journey "towards the east" which refers to the islands of the Philippines. The brothers reportedly landed in the island of Mindanao. With the region experiencing a drought, one of the brothers was forced to venture Northward in order to survive. He did this by following a dried up river to its almost dried up source, a lake. He settled and inter-married with the local inhabitants in the upstream of what is now known as Pulangi River. He and his family were considered as the ancestors of the present Bukidnons. During the pre-historic era, the Bukidnons, also called Montesses or mountain-people, had settled in the area of what is now the Province of Bukidnon. These people have remained traditional till 1860 preserving most of their customs and traditions. Furthermore, these people had not been significantly influenced by the Spanish colonizers because of their isolation. The rugged mountain ranges and high plateaus which serve as home to these people presented an overwhelming obstacle to these colonizers. The Bukidnons undoubtedly have links to the culture predominant in the Southeast Asian region as evidenced by the similar customs and traditions. Their presence here can be traced to the early migration of these Asians throughout the region. Today, the surviving tribes inhabiting the mountains of Bukidnon still bear the culture they have inherited from their ancestors. Manolo Fortich is named after Don Manolo Fortich, a provincial resident of Barrio Damilag being the first Governor (1902-1914) of the District of Bukidnon. The original name of the Municipality is Maluko, was governed by Santiago Mambinonsad who was appointed as Alcalde de Barrio from 1922 to 1924. It was during the term of Ciriaco Asilan as Presidente del Barrio from 1926 to 1928, that the seat of government was transferred in Tankulan, which became the permanent seat of Municipal Government. Mayor Mateo Gumaling, was the first appointed mayor of Manolo Fortich and in 1940 Margarito Cabang became the first elected Mayor. The municipality of Manolo Fortich has a total area of 506.64 square kilometres (195.61 sq mi), accounting 6.1% of the total land area of the province of Bukidnon. Manolo Fortich is situated in the northern part of the Province of Bukidnon. It is about 40 minutes away from the bustling commercial center of Cagayan de Oro City. 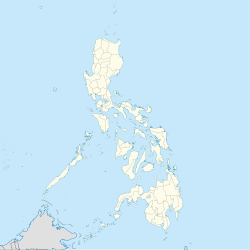 It is bounded in the north by Cagayan de Oro City, Misamis Oriental, and the Municipality of Malitbog. In the east by the Municipality of Sumilao, in the west by the Municipality of Libona and Baungon and in the south by the rugged ranges of Mount Kitanglad. The climate is classified as belonging to type IV or Intermediate. It is characterized by a moderate dry season with average rainfall of about 2,000 millimetres (79 in). Its temperature is relatively cool and humid making the place suitable for production of any kind of crops. Production of high valued crops, which include vegetables, cut flowers and ornamentals is a big potential in the area. Manolo Fortich is politically subdivided into 22 barangays. In the 2015 census, the population of Manolo Fortich was 100,210 people, with a density of 240 inhabitants per square kilometre or 620 inhabitants per square mile. In the 2010 census, the population of the municipality was 91,026 people, up from 82,051 in 2007. Manolo Fortich belongs to a very low-density area which has only approximately 162 persons per square kilometre. The urban population is confined in barangays Agusan Canyon, Damilag and Tankulan. There are three major ethnic groups in Manolo Fortich and they are the Higaonon, Talaandig and the Cebuano-Bohol ethnic groups. the latter were mostly migrants from Cebu and Bohol who came to work as agricultural laborers in the planatation and orchard farms of the highland plateau, about 55% of the residents are Higaonons who are indigenous people in the area. Cebuano, a Visayan language, is the major spoken language of the town. In the upland barangay plateau areas of Dahilayan, Guilang-guilang, Kalugmanan, Santiago and Ticala, the Higa-onons and Talaandigs speak their indigenous language called "Binukid". While Del Monte Philippines' manufacturing plant is located in nearby Cagayan de Oro, yet its pineapple plantation is located in the municipality specifically in Camp Phillips Road, Barangay Agusan Canyon while the company's clubhouse is located at Barangay San Miguel, still in Camp Phillips Road. The Del Monte Golf Course & Country Club on the other hand is located in Sitio Cawayanon, Barangay San Miguel. Just a few meters from the golf course is the Del Monte School, still located in Sitio Cawayanon. The Cawayanon Compound also located in Sitio Cawayanon is a residential area mostly inhabited by Del Monte employees. The Dahilayan Adventure Park is located in the municipality. The park is popular for its single and dual zip-lines, drop zones, Sky Tower Base Jump (the highest of its kind in the country), "Python Roller Zipride" (the first of its kind in Asia) and the "Flying Lizard" canopy glider. The park's dual zipline has 840 meters in length making it Asia's longest dual zip-line. Manolo Fortich has three major river systems crisscrossing the upstream and downstream agricultural lands. These are the Tagoloan, Mangima and Agusan Rivers, which serve as natural boundaries and drainage of excess water and run-off from around the municipality. The other rivers of the municipality are, among others: Dicklum, Kumaykay, Guihian, Tasaon and Kulaman Rivers. The river systems also serve as sources of potable water supply for domestic use. About 26 creeks spread across nine barangays in the municipality. Forest areas in Manolo Fortich are found in two barangays along the Mt. Kitanglad Range. Mt. Kitanglad hosts a diverse species of flora and fauna, many of them rare and endemic, making it a potential for tourism and bio-diversity research. The major metallic mineral found in the municipality is chromite and the non-metallic includes semi-precious stones. Also available are clay, limestone, feldspar, silica quartz and schist. ^ "An Act Changing the Name of the Municipality of Maluko, Province of Bukidnon, to Municipality of Manolo Fortich". LawPH.com. Retrieved 2011-04-12. This page was last edited on 16 March 2019, at 08:25 (UTC).